As of June 2017, FEWS NET ended its presence in Liberia and is no longer preparing regular food security reports. Currently, FEWS NET analysts monitor the food security situation in Liberia and will draft special reports as needed to provide early warning or in-depth analysis of food insecurity drivers. 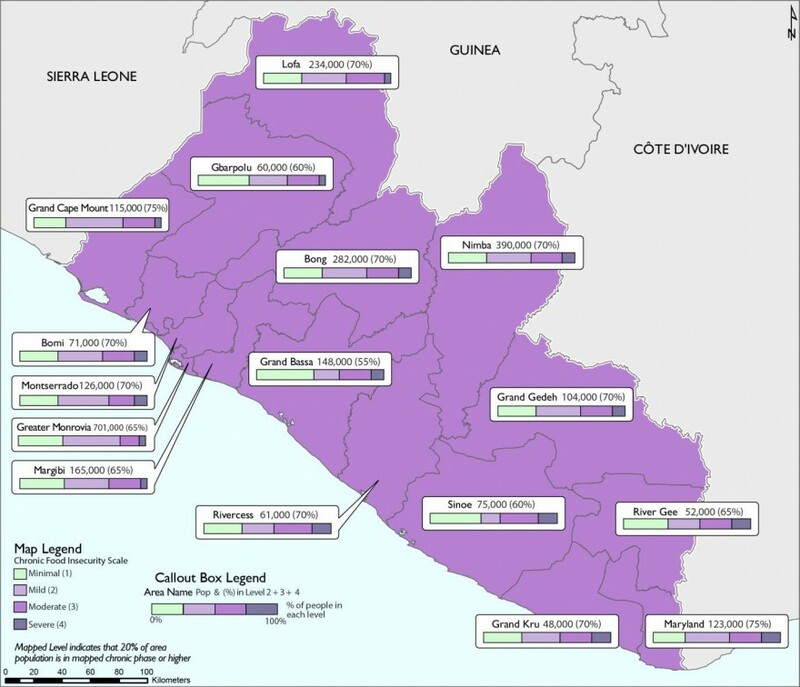 In early December 2016, FEWS NET, the Permanent Interstate Committee for Drought Control in the Sahel, and the Integrated Phase Classification Global Support Unit convened stakeholders from a variety of Liberian ministries, international and local non-governmental organizations, and United Nation agencies to pilot a chronic food insecurity analysis using IPC tools. The objective of this exercise was to both understand the dynamics of chronic food insecurity in Liberia and to inform future chronic analysis within the larger region.